With a global economic crisis in full swing, getting that much coveted job may seem an uphill struggle. If we take the case of Spain, whose current level of unemployment tops the charts at 26%, it´s not surprising that competition for jobs is so high. Now a candidate can go above and beyond simply sending off a job application; the growing popularity of social media and all things 2.0 means that both candidates and recruiters must keep abreast of new trends. So let´s take a look at the “candidate 2.0”. 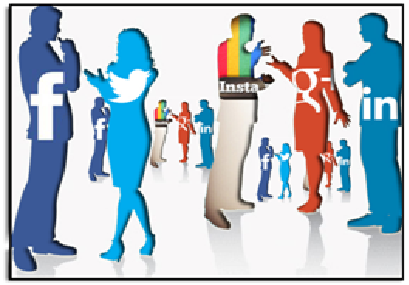 The candidate 2.0 is present on social networks such as Facebook and Twitter. He is likely to have a blog or personal website and will have an updated Linkedin profile with numerous connections. So what, you may say, doesn´t everybody? Yes, but here is the catch: the candidate 2.0 not only has these profiles, but he uses them. And not to show off the birthday cake he made for his aunt last Monday. He is constantly active on Twitter, he posts articles of interest, he networks, he showcases his work, he joins groups… And he has either made or will make a C.V 2.0. The opinion that the C.V 1.0 is dying out is becoming more widespread. Can a single sheet of paper with a list of your skills give an accurate portrayal of who you are? Some would say no. Enter the C.V 2.0. This modernised and digital resume serves as an engaging tool to inform recruiters about your individuality as a candidate, by using creative layouts, images, graphs, links and even music. A C.V with a unique design and excellent presentation that really showcases your abilities and interests. Common in the fields of media, design and advertising. A very visual way to show your skills, education and experience in the form of graphs and charts. An excellent app is visualize.me, which turns your Linkedin profile into a unique infographic. Presentation of yourself and your professional/ personal information and triumphs through a short video. A slideshow documenting the most relevant parts of your C.V, in which you can add images, graphics, etc. Don´t get me wrong, for all its creative virtues the C.V 2.0 can be risky. Some employers will love it, others won´t. So know your audience; if you´re applying for a position with little competition, a conventional C.V may be better. If you´re going for a job in media where competition is stiff, a creative CV could make you stand out. The most important thing to consider is that what you write (or say) is concise and informative and the graphics used are relevant and not just employed for the sake of it!